The Clinics at UC Davis School of Law have produced leading attorneys in the areas of civil rights, family law, prisoners’ rights, immigration law, appellate law, and public policy. In this space, we will occasionally highlight the work of an accomplished clinic alumnus. For California State Assemblyman Luis Alejo, the opportunity to combine the highest quality legal education with hands-on experience working in the UC Davis School of Law Immigration Law Clinic made King Hall the perfect choice. 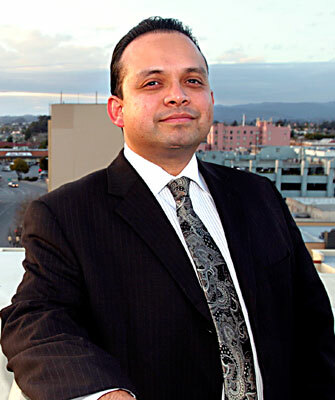 "I couldn't have picked a better law school," said Alejo, who was elected to represent the California Assembly's 28th District in 2010, and elected to the newly drawn 30th District seat in 2012. Prior to that, he had served as Watsonville's Mayor Pro Tem and a staff attorney with the Monterey County Superior Court Self-Help Center. "If you're interested in public interest law or public policy work, it would be hard to imagine a better place to study than King Hall." A grandchild of migrant farm workers, Alejo grew up hearing stories of the horrendous working conditions and exploitative pay family members had endured while toiling in the fields of Monterey County. He witnessed firsthand the problems poverty, unemployment, and lack of opportunity caused in his home town of Watsonville, and watched as many of his closest high school friends went to prison. Alejo was determined to work for change and began as a community organizer while still in his teens. He enrolled at UC Berkeley with the intention of returning home as a high school teacher, but as an undergraduate, volunteered at a legal aid center in Oakland, where he found a different calling. "That experience showed me how you can use the law to improve people's lives and make a difference in the community, and that's when I decided to become an attorney," Alejo said. "King Hall offers a well-rounded experience where you're going to get the highest quality classroom education, but also hands-on experience through the clinics." After a year of teaching at an alternative high school, Alejo enrolled at UC Davis School of Law, where he quickly became involved in the Immigration Law Clinic. "It really created a perfect balance," he said. "I was taking the classes, reading about cases and legal theories, learning from some of best scholars in the nation, and at the same time, getting hands-on experience at the clinic." Alejo's enrollment at King Hall also led to an internship with California Rural Legal Assistance (CRLA) and a fellowship upon graduation where he worked for Assemblymember Manny Diaz at the State Capitol in Sacramento. After earning a master's degree in Education from Harvard--"the last educational goal I had set for myself," Alejo said--he returned to Watsonville to work for CRLA, spurning several more lucrative job offers. "My main goal was always to come back home, no matter what kinds of offers were made," he said. "It was challenging at CRLA, and I worked some very long hours, but we made a real difference in our public schools, in voting rights, and employment law. For me, it was really rewarding work." After four years, Alejo decided to take advantage of an opportunity to work for the Self-Help Center, which began as part of an experimental state program to offer assistance to self-representing litigants. The position has kept him busy--he continues to serve about 1,200 clients per month through his office--but Alejo has also found time to volunteer in the community and for several city boards and commissions. His community work has led to honors including the 2009 Award of Merit from the Legal Aid Association of California and Access to Justice Commission--and to a budding political career. Largely due to the strong support he earned through years of community service, Alejo was elected with nearly 80 percent of the votes in November 2008 to the Watsonville City Council. Further encouraged by community leaders, he announced plans to run for the California Assembly, and again triumphed at the polls. Alejo said he would recommend King Hall to any student considering law school, and especially those looking for a career in public interest law or policy making. "King Hall offers a well-rounded experience where you're going to get the highest quality classroom education, but also hands-on experience through the clinics. If you're interested in the legislative process, you're close to Sacramento, and you have opportunities to get involved there. You really couldn't choose a better law school."